Thiru Muruga Kirupanandha Variyar's Journey As A Murugan Devotee! Kirupanandha Variyar was an Indian spiritual leader who was popularly called as Variyar Swamigal. He was born on 25th August 1906 in Kangeyanallur near Vellore in Tamil Nadu. His parents were Siva Thiru Mallayadasa Bhagavathar and Madhu Shri Kanagavalli Ammaiyar. His father was a great scholar and has established Thiruppugazh Sabhas (platform for singers and students to learn Thiruppugazh). He was a great scholar, his knowledge and wisdom in Purana, ethics and literature were unlimited. Hence, he was conferred with the title "Puranethikasa Paarangathar". LISTEN: Thiruppugazh, the modern way! Madhu Shri Kanagavalli Ammaiyar, mother of Swamigal was a noble, highly disciplined, calm and affectionate holy woman. Her kindness and helping tendency towards mankind particularly towards the poor was endless. Kirupanandha Variyar had 10 siblings and he was the fourth among them. He did not get any formal education at school. He learned education, literature, music, and grammar from his father. He could write poetry when he was just eight years old. He wrote the books Sivalinga Bandams, Vel, Mayil Ashta Naga Bandham when he was 12 years old. He was a very brilliant childhood prodigy. When he was 19 years old, he married his uncle’s daughter Amirtha Lakshmi. He was not blessed with any children. He started the monthly magazine Thiruppugazh Amirtham in 1936 and continued the edition for 37 years. The contents of this magazine was a comprehensive elaborate detailed description of songs in Thiruppugazh and other verses from Arunagirinathar’s like Kandar Alangaram, stories emphasizing morality and chastity, and short literary composition of other scholars. 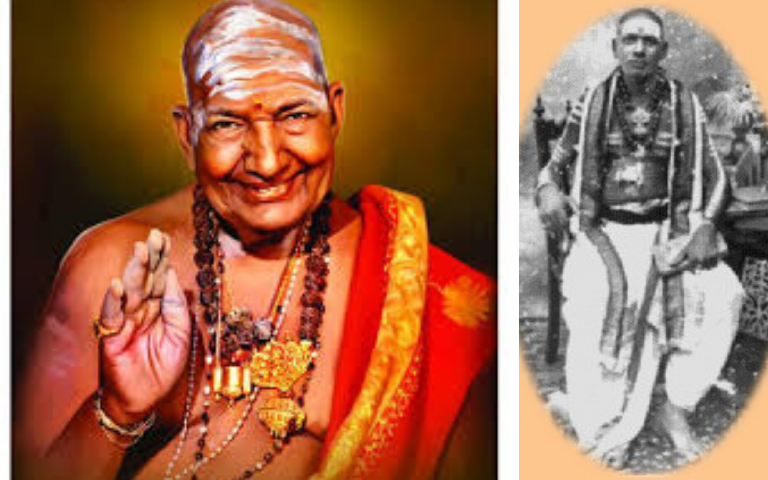 He was called as Deiva Thiru Muruga Kirupanandha Variyar Swamigal. His devotional activities, deep knowledge, and practice of literature and music made him very popular. He had the extraordinary power of memory and great knowledge of religious texts. Variyar held woman in high respect. If anyone spoke ill of women, Variyar would explain with reason why a woman should be treated with respect, dignity, love, and understanding. If a wife sheds tear, that home would never prosper” he used to say. It was Variyar who first brought out the idea of putting mother’s name as the initial for the child. He wrote the screenplay for the film Sivakavi and has acted in some films like Thunaivan, Deivaman, Miruthanga Chakravarthi, Navagraha Nayagi, Kandhar Alangaram, Thiruvarul, etc. He had great compassion for poor, needy and helpless people. He worked hard to provide shelter for aged people irrespective of religion, caste or creed. He also started Ramakrishna Kudil and Thirupparai Thurai and provided asylum for orphan children. 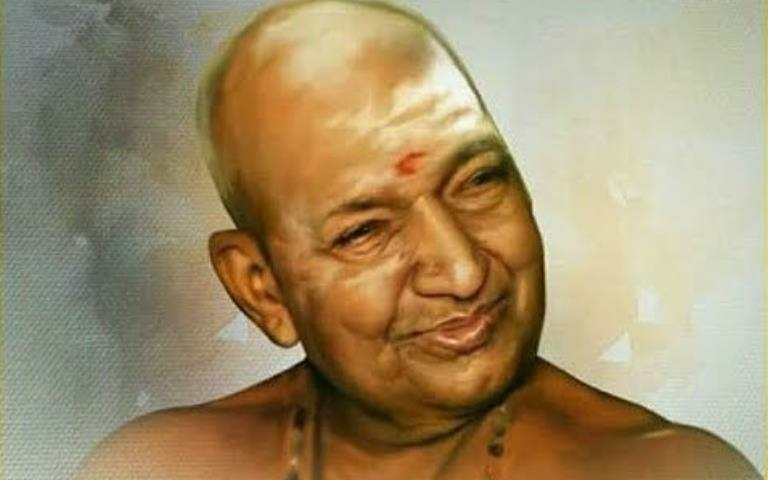 He spearheaded many temple renovations such as Vallimalai Raja Gopuram, Kangeyanallur Murugan Temple Renovation, Samayapuram Renovation, Chennai Kuyapettai Raja gopuram renovation, Kovai Thadagam Road Bala Dhandayuthapani Renovation, etc. Many titles and awards were conferred on him that include Esai Perarignar Award by Chennai Tamizhisai Mandram, Thiruppani Chakravarthi, Sorpozhivu Vallal, Saraswathi Kadakshamrutham, Pravachana Samrat, Thiruppugazh Jothi, Arul Mozhi Arasu, honored with Golden Flower by former Chief Minister of Tamil Nadu, M. G. R., Tamizh Peravai Chemmail award from Madurai Kamarasar University, Ilakkiya Mudu Munaivar award from Tanjore University, etc. He passed away on 7th November 1993 at his age of 87.